There have been many episodes of the Cosmic Disclosure series which were beyond impressive. Many of the revelations within these episodes connote possible realities that would boggle the mind of anyone in the surface population if proven true. It seems that each time a new revelation comes forward, we are left with a sort of reverberating thought of the likelihood that our perceived reality could only be a mere fraction of all there is to know. This episode's discussion did not disappoint. There were numerous subjects which were intriguing, concerning, astounding, and ones which were significantly encouraging. Depending upon our personality and our ability to envision positive outcomes in life, we will ultimately perceive our possible situation the way in which we choose. A few of the disclosures presented in the discussion may sound somewhat different than in the past, as numerous pieces of new intel have come forward. These will likely be interesting overall, but upon close examination, these disclosures may prove to be extremely impacting and even inspirational for our present and the coming months and years. 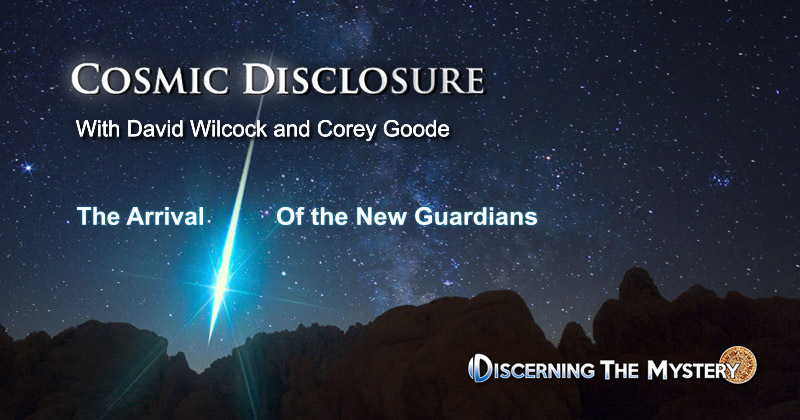 David Wilcock: Welcome back to “Cosmic Disclosure”. I'm your host, David Wilcock, and we are here with Corey Goode. And in this episode, we're going to get into the return of the Guardians. David: So where we last left off, you had just met with Gonzales, who was talking about his work with trauma-recovery victims and these red-haired giant peoples. Then you had a meeting with the seven different groups of the Anshar in a cleansing room. So could you pick it up from there and tell us what happens at this point and where you go next? Corey: While we were still in this cleansing room, and there was still a line going, I was told that this was a celebration and preparation ceremony for meeting the new Guardians, and that it was my honor . . . I was being honored and being allowed to participate. I told Aree and her sister it was MY honor, and that I was thankful, and they were just very excited and playful. I mean, they were in a party mood. It was a party mood. Corey: And it was right after that, I started seeing these goblets, little glass-looking goblets, being passed around, and they looked almost like champagne flutes, but they weren't tall. So they were handing them around, and I was told that this was the nectar of Isis that I had been offered before that I had turned down. And I looked up, and Aree was watching me and amused because I didn't know what was going on. And she held her drink up like this [Corey holds the glass higher and out in front of himself], and she passed her hand over it [Corey passes an open hand over the glass] with her lips moving like she was saying a prayer. And then she held it up and took [Corey breathes in the aroma from the nectar] a big ole deep whiff of the nectar, and then she drank it. David: So in the past, you were very reticent to drink this elixir, apparently feeling that it might be some sort of psychotropic drug or something like that. Corey: The first time I met her was when I was offered the drink, and I wasn't going to take a drink like that from a stranger. I didn't know who she was. Corey: At this point, I trusted her. So I did what she did. I did the best I could to repeat it. Said a little thing to the One Infinite Creator blessing improv, and I took a drink. And immediately, I felt this energy spreading out down my mouth, down my throat, all throughout my body. It's almost like a heat, a warmth. And I became extremely euphoric. David: Was it like a physical numbness that you felt as you drank it? Corey: No. It was a warmth and just an energy that kind of spread out through my body. Corey: Very unique. And I looked around, and the energy of everyone, as they were drinking it, was changing. They were becoming more . . . kind of like outgoing. They were not keeping up their appearances like they were before. You know, different groups felt like they had to hold theirselves a certain way in front of another group. Everyone became relaxed, and I felt connected with the Anshar in a level that I had never felt connected before, even using their chairs. Corey: That's exactly what it was. Many of these disclosures were made at the Conscious Life Expo of February 2018, and they were just as intriguing then as they are at present. These disclosures seem to represent a significant level of change taking place in the dynamic of our planetary development as well as our solar system and heliosphere as a whole. From observation, it seems clear that the end of 2017 and the beginning of 2018 represented a significant transition for society. On a personal level, I have witnessed numerous people reach closure on various facets of life and immediately afterward, these individuals had experiences of profound renewal. This time period seemed to be one of great progress—old relationships appear to be ending and new ones are beginning. This does not at all appear to be the normal level of transition which occurs at the beginning of a new year. This transition, it seems, is entirely new. Following this trend of profound endings and beginnings, the experiences which Corey Goode initially claimed now appear to be coming full circle. According to Goode's testimony, there are significant completions and closures happening right alongside some of the most profound beginnings a person might experience. If these testimonies prove true, there could be some very interesting times ahead for many of those who choose progress along the path of awakening. David: Okay. Could you tell us how long this euphoric ceremony lasts after you drank the beverage? Corey: After I drank the beverage, it seemed like only moments that I had to enjoy the effects. Corey: Because then, I was grabbed by Aree and her sister and several others that were headed towards the door. And we headed towards the door. We walked back out into the large domed room where I had appeared the first time and every time since. There were the two guys at each door, guarding the doors, as the last time. 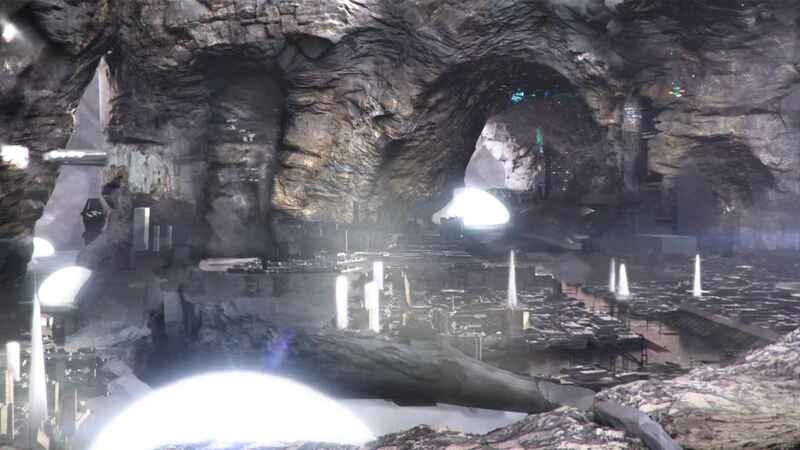 And we went back out into the cavern area where the city used to be. And now, there was a huge 120' across classic-looking flying saucer that was parked a little bit off in the distance with a ramp down. And we could see a little bit of movement and activity. 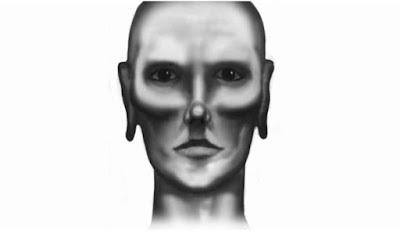 As we got closer, I could see some of that Omega group of the Inner Earth, the ones that had dark hair, looked very Caucasian, military looking. And they were wearing these blue one-piece uniforms with these big gold stars on them, like the star I saw on the table in the Anshar meeting. It was like a symbol of Venus, basically, on their left chest area. Corey: And they were guiding all of us into the craft. We all sat down, got comfortable, and everyone loaded up, and then we took off. David: Now, at this point, were you aware of your destination? Did you know where you were going? 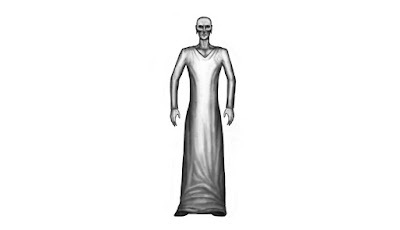 Corey: Aree and her sister sat on either side of me, and they confirmed that we were headed to this space station that I went to prior, where I met the Sentinels. And they were calling it the Council at Saturn. 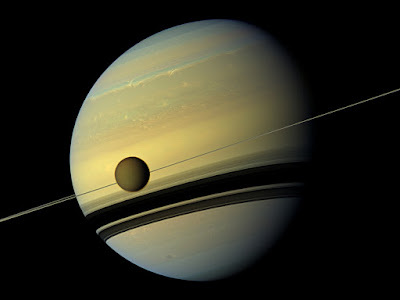 David: I thought the time you met the Sentinels was at Venus, not Saturn. Corey: I met them on Venus, but if you remember, afterwards, I was taken to Saturn to one of these same anomalies, like is off of Jupiter. Corey: And when I entered in, there was an identical space station. So what's the next thing that happens? I guess you must have disembarked from the craft. Did you feel it land? Corey: When we docked, you really couldn't tell. Corey: There was no “phzzzzz” [Corey releases air], anything like that. Corey: It was just . . . People started getting up and leaving. That's how I . . . I mean, we just got up and started leaving. Corey: And we walked through the docking station. The doors are huge, because they are meant to service beings that are 18' tall or so. Corey: And so are the hallways, passageways, through the space station. The long skinny section that leads to the rounded section, when you walk through that, the ceilings are very tall. They brought us to the main area, and that's where the meeting would occur. David: The previous meeting that we had in other episodes featured you with the Super Federation, and they were told that they were no longer going to control humanity's destiny. And apparently, they got very upset. David: Did you feel any sense of anxiety going back into a room that looked the same now, as if, maybe, you were going to have another experience like that? Corey: No, because A, I was feeling euphoric from the elixir. Corey: And it was wearing off. It wore off fairly soon. And we had all the Anshar around that were extremely excited. There were like 40 representatives inside this flying saucer. Corey: And we all filed out. We went into the large meeting room, and we all got in to like a semicircle to wait for the next part of the meeting. David: Did it look exactly the same as the Super Federation meeting room? Corey: Exactly, except there were no chairs. It was completely empty. David: So what happens at this point once they form this semicircle? Corey: I began to walk across the room to go over and meet Mica. And when I was about to the halfway point, Teir-Eir and the Golden Triangle-head beings appear in the room. And not only did Teir-Eir appear, but the two other Blue Avians appeared but were not standing next to Teir-Eir. David: And just to clarify, you had said that Mica represented a group that we on Earth would know as the Olmecs from South America. David: Could you just briefly remind us who that Olmec group is, and what's their relationship to us? Corey: Yes, many, many, many times on Earth in our history, refugees have been brought from other planetary systems to stay here and live here. And they've lived here for many generations at times. That was the Mayans. 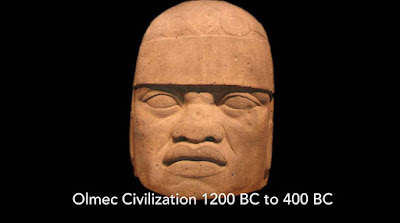 But the Olmecs, when there was a major issue going on in their star system, many of them were brought here as refugees to survive here and wait out the issues there. Then they were brought back. David: Issues like a war? Do you know what it was? Corey: I don't know what it was. It could have been a war or something crazy going on in their star system. Corey: It could have been a cataclysm. Corey: It could have been what happened with the Native Americans that have stories about being taken underground during cataclysms. They may have been taken through a portal system to another planet and been refugees. David: So did the Olmecs ever tell you why they made these gigantic spherical stone heads of themselves and bury them in the ground? Did you ever get that? David: Okay. But do you know how many of them were dropped off here? Corey: It was thousands. Their number grew from thousands to tens of thousands while they were here. 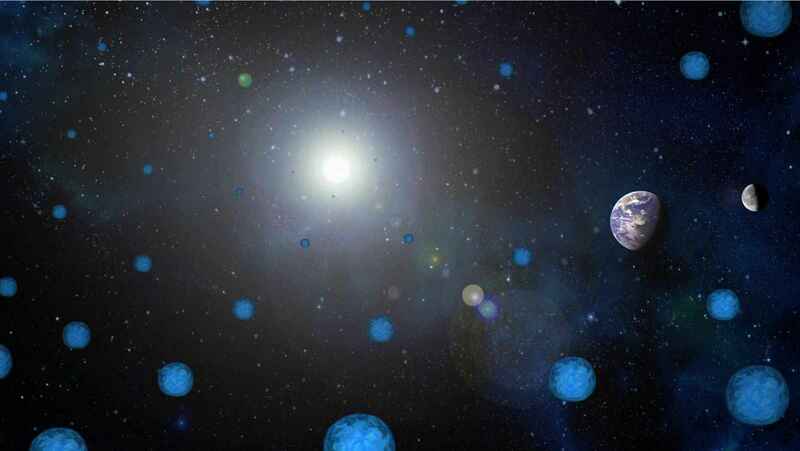 And then they were all removed and brought back to their star system, which is one of the closest stars, if not the closest star, in our local 52 star cluster. And it is a mostly ocean planet that's made up of a bunch of islands and one main kind of a continent. It is very interesting to hear the proposal that many ancient Earth civilizations actually came from different planets in different star systems. According to Goode, some of these civilizations actually came to the Earth as refugees and were possibly relocated here due to significant changes occurring on their home planet. I find these possibilities especially interesting specifically because they directly relate with the testimony we have heard from Corey in the past. The likelihood that the Earth will be going through drastic changes on the surface and that these changes may even require our own temporary vacation from the planet's surface may give credence to the possibility of planetary ascension. It has been stated numerous times how both ancient prophecies and modern science suggest that when a planet undergoes ascension (i.e., massive energetic shifts), numerous natural disasters can occur. Volcanoes may erupt, oceans can be displaced, entire continents may rise out of oceans while others sink into the sea, all while the planet experiences an extended period of earthquakes. These events are believed to be a result of the overall crustal displacement which can occur when extreme energetic increases take place within and/or around a planet. This means that when a solar system inters a galactic sector which contains higher energetic intensity, the star and the planets around it must adjust to align with the new levels of intensity. This may be the process which is causing our solar system to change in all of the significant ways which current science has found it to be. If these changes occurred periodically within different star systems over the millennia, and refugees from those planets needed somewhere to crash for a few generation, it would make sense that they would make the Earth their temporary home. These visitations may explain the various cultures of ancient times that showed many signs of being far more developed than other Earth cultures (those we might consider primitive), which occupied the planet during these same periods in history. David: Now, you've said before on this show that what makes them unique for us is that they had overthrown Draco Reptilian rule on their planet. From our perspective, how recently has that happened for them? Corey: Well, three generations ago, and I'm told that their lifespan is around 300 years. David: So that would be like 900 years? David: You were walking towards Mica, and then you have Teir-Eir and the Golden Triangle head being manifest. And what happens at this point? Corey: I stop and I look at Teir-Eir, and Teir-Eir motions over to the people that Mica's with, and he asks me to count them. So I go and I count them, and there are 52 of them. David: Are these all Olmecs or were they different types? Corey: No, they were all humans of different types, and most of them were not Caucasian. 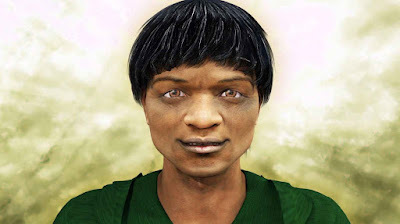 They were different types of olive skin, brown skin, and even a kind of a tan skin. But they were representatives of each of the local 52 stars. And they are all basically our cosmic cousins. They are human beings, just different types. Corey: And what I was told is that in the previous meeting, THESE people, these representatives, are now going to be on the Super Federation board, . . .
Corey: . . . and they're going to hold positions along with us. David: And so just to clarify, what does the Super Federation have to do with us if we are now a part of it, because I thought before, it was something completely . . . that we had no access to. Corey: The 22 genetic experiments were no longer going to be headed by the Super Federation. We're being given the management keys of our own genetic and spiritual development. David: Does that mean that we will come into capabilities to expand our genetics as we choose? Like, could we start to modify our DNA in ways that we like? Corey: Yes. And, apparently, we do. On the Anshar timeline, they discussed their history with me a little bit about what humans go through, the process they go through after they learn about the 22 genetic experiments. They rebel against them. Then they over embrace them and begin to hack our own DNA. Things get out of control that way into a point to where we all start developing ourselves out to more of a pure form. I know that sounds racist to a lot of people, but, apparently, we go through an incredibly rough period of development. After I counted the number of people, it was indicated that I should go stand with them. 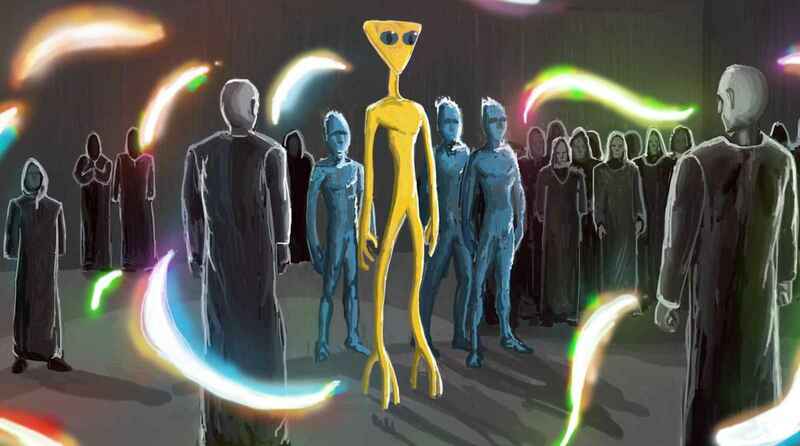 So I was standing with the 52 beings that I had just counted. Corey: And when I was standing there, Mica was introducing me to the people around him real quickly, but we didn't have much time. David: Well, now you said 52 stars in our local cluster. Is there a relationship between that and these 52 beings? Corey: Right. Each being is a representative from one of those stars. Corey: But he was quickly introducing me to a few people around, and he mentioned that each being that is present was pretty much picked by the Guardians. David: So this must have been really exciting, given that if, as you've said before, the Olmecs were contacted by the Blue Avians and the Triangle beings, if each of these groups represent people who have been contacted by them, I would imagine they would be very excited to see these beings show up again – the Blue Avians and the Triangle beings. Corey: Yes. This was a BIG moment for everyone present – a lot of excitement. As I was talking with Mica, I looked over, and I noticed kind of a procession that started. And the different Anshar groups were going up to Teir-Eir and the Golden Triangle being and were bowing, and some sort of communication was going on. And then they would leave. They were filing through in a line. David: Hm. After they got done meeting with these existing Guardians, what happens next? Corey: The Sentinels then appear. And I've gotten a weird feeling from them. They feel like they're a projection from another density or domain, that they're projecting here from another domain. David: Well, and you said that when you went to Venus, if we line up your story with what's in The Law of One, it would appear that Venus was a source for the Ancient Builder Race, which could be over two billion years old. That these Sentinels may have been somehow related to a civilization over two billion years old. So could you explain that? Corey: Yes. They were somehow caretakers of the remaining technology here. Corey: So, like I said, it was like they were projected from another realm. They immediately started interacting with the Guardians, and when they did, the room started . . . around them immediately in the room, these weird streaks or tongues of light started kind of darting around and disappearing, almost like flashes. It started off slow. Then it picked up, and it got faster and faster, and then it stopped. David: Were there colors to the lights? What did it actually look like? Corey: Yeah, there were all the colors of the rainbow. Corey: Definitely. All the colors of the rainbow. David: What was your emotional impression as this was taking place? Corey: I was in awe. Everyone in the room was in awe. Although we didn't know what was going on, it was a part of the way they communicated with the Guardians. David: What is the next thing that you noticed? Corey: Once this meeting was complete, everyone just kind of started shuffling around into this big circle with the Guardians in the middle. We all kind of got into this circle, and Teir-eir motioned that he was going to speak through me again. And they began to have me address everyone present and to state that the new Guardians were coming, and that the Solar System had gone through enough of the transition to where the Blue Spheres were not needed anymore. And they were beginning to just disappear. And the same was occurring with the barrier around our Solar System. It had phased out. It was basically gone. Corey: And the Guardians stated that if it wasn't for the Galactic Federation, which seemed to be something different completely, and their blockade around our Solar System, they said that after the barrier fell, the Reptilians and other groups would have escaped through ships if there had not been a blockade formed there. 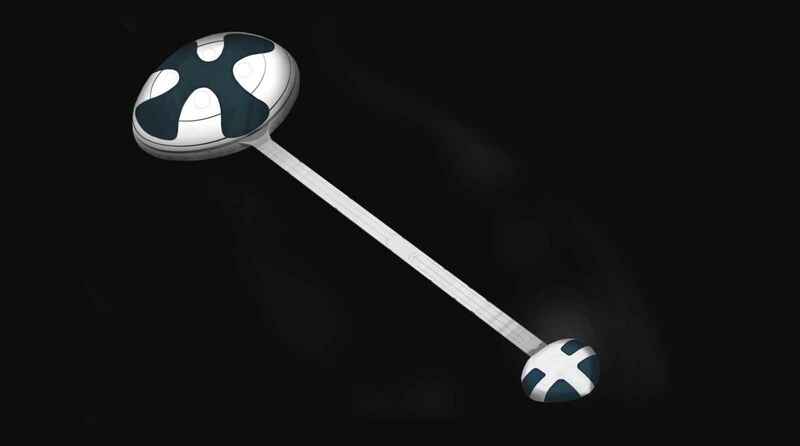 David: Now, if the Blue Spheres, that you were talking about before, were essentially giant technologies or beings . . .
David: . . . that came into our Solar System, ostensibly, to stop a Solar Flash from happening at the end of the Mayan calendar of December 21, 2012, is when I was expecting it would happen from the science that I've studied, the ancient science. If those spheres have disappeared, then why wouldn't we get a Solar Flash? Corey: They weren't preventing a Solar Flash. 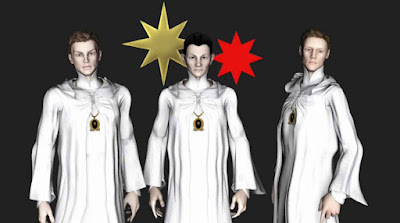 What they were doing is: leading up to the Solar Flash, more and more energies will start coming through our Sun and the cosmic energy that we're passing through. What these spheres did was they acted like some sort of a resonant system that when the energies came in, it buffered the energies. So now that they're gone, we're getting the full strength of these waves of energy. From what I'm told, our star is expected to go through these energetic Solar Flashes when it comes out of solar minimum in 10 or 11 years, is when they're expecting the major stuff to happen. David: So that would be somewhere in the neighborhood of 2027 or 2028? David: Okay. Then we do need to make some kind of public statement, because some of the things that you said to me before had put emphasis on the year 2023. And I had been led to believe that that was when you had been told the Solar Flash would happen, somewhere around 2023 or 24. So could you clarify the difference between this window of 27 to 28 and the window of 23 to 24? Corey: I think there is some confusion because the '23, '24 has to do with a timeframe that all of the Disclosure information would most likely occur. David: This is more of a Full Disclosure? Corey: It's more of a Full Disclosure and more of an Event. It's focused around there being a Solar Flash. It is not a Solar Flash. There are flashES and events that lead up to the crescendo event. So uh . . .
David: Are you saying those flashes might even take place over the course of years? It is definitely possible, in my view, that these solar flashes have already begun. A month's observation of solar activity may tell us that our sun is not at all behaving as it usually might. The data does not always seem to match the apparent results of our sun, and this is possibly the most unusual aspect of our present time. Could it be that NASA and various SSP factions are deliberately fudging the solar data so that we do not receive accurate information about the sun? If so, is there really a need to keep such information hidden? These are only mere possibilities. However, it is always good to consider the potential progression of our current situation, seeing that so much of it is unknown. David: Well, but we haven't had what the 35 different ancient prophecies seem to describe as akin to like a photo flash bulb going off that makes the whole Solar System extremely bright. Corey: It is said that we're going to have a number of those that are going to lead up to the big crescendo event. David: Wow! Do you think that, perhaps, the first of those big bright flashes could happen in the '23, '24 range? Corey: I was told that they've already started . . .
Corey: . . . on a lower level. They build up. David: Oh, okay. So I just want to clarify then, if we're not getting any serious disclosure until '23, '24, that still leaves us with as much as six years. What would happen during those six years? Corey: Well, that's up to us. The plan is to give us a slow, unrolling of information, but no plan survives the battlefield. Who knows what will happen in that time period? We could have a very quick burst of information, and then go for a while with no new information. Who knows how it's going to happen? David: A lot of our audience was really concerned when you had mentioned in previous episodes that you had been told that we might end up on a negative timeline where we actually had Draco ruling the planet. But all of the things you've been telling us throughout this sequence of updates suggests that that door has closed. David: Could you explain for us? Corey: Yeah, we are definitely redirected onto the positive timelines, but the most optimal timeline, or just a little bit more positive than what the other thing would have been, is up to us. Corey: But that is correct. Things have changed in our timeline to a point to where there is no way there could be open rule by the Reptilians. David: So we were at the point now where the Blue Avians are talking through you, and they say that the Giant Spheres have disappeared, that the Outer Barrier disappeared, and that now this Galactic Federation is protecting our airspace for us. What are the implications of that? Where does it go from here? Corey: Well, I was told that the only avenue of escape, because of this blockade, was through the portal system, you know, the Cosmic Web. But, as I've also previously stated, it's heavily monitored at a high level. There's nowhere you can go through these portals that they can't track you down. They said that whoever did escape through the portals during this time period would be on the run for the rest of their lives. These attempts of escape by negative forces via the portal system have been discussed by numerous sources. In fact, the attempted Cabal escapes are reported to be virtually impossible at this point. One source emphasized the notion that it was a very bad idea for the Cabal to attempt to use the portals. If they made such an attempt, it was said to be possible for the high-dimensional beings to shut these portals down and to basically disintegrate any being that might be attempting to use the portal at the time. These testimonies seem to align on the part of this blockade, or at least the collective efforts of the positive beings to prevent the negative beings from entering or leaving the solar system at such a crucial point in history. 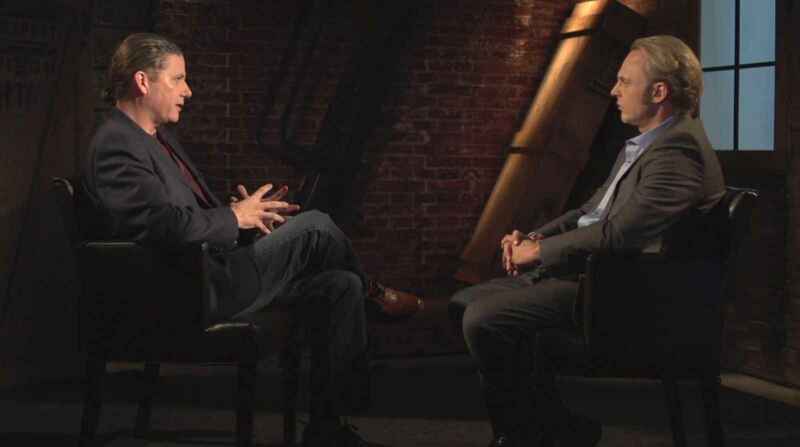 David: In a recent conversation I had with Pete Peterson, he said, and I quote, “Americans are all over the galaxy”, if you get to a certain level of the UFO cover-up, right? So some of those people would not be good people, I would imagine. 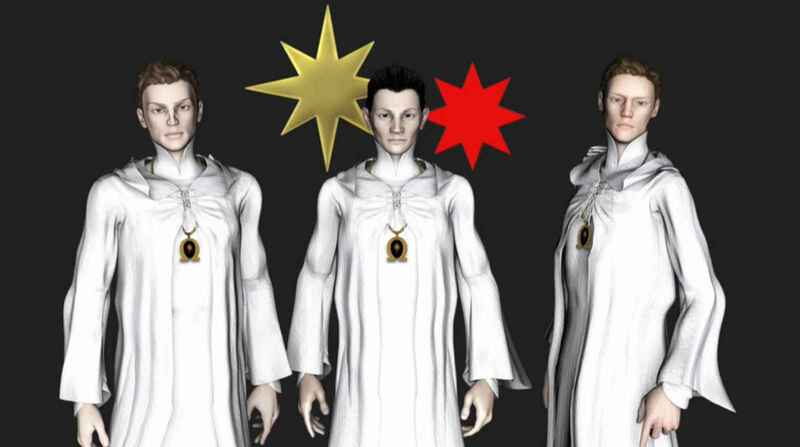 They would be Secret Space Program Cabal types. What would stop some of these people that are still here on Earth now from rejoining those other groups that are distributed throughout the galaxy? Corey: The Galactic Federation blockade. David: So those other groups might still exist, but they're not going to get anybody new coming to them. David: Do you think they might try to come back here and invade us? Corey: No. There's no way, not with the blockade. David: Hm. So could you tell us a little bit more about what this Galactic Federation blockade is or looks like, because I'm not sure I understand? Corey: I haven't been told myself. It is very highly-developed beings that have a military blockade around our Solar System. So I would imagine they are ships and stations that are preventing ingress or egress from our Solar System. Numerous sources have claimed at this point that there is currently a galactic war taking place between the positive and negative forces. 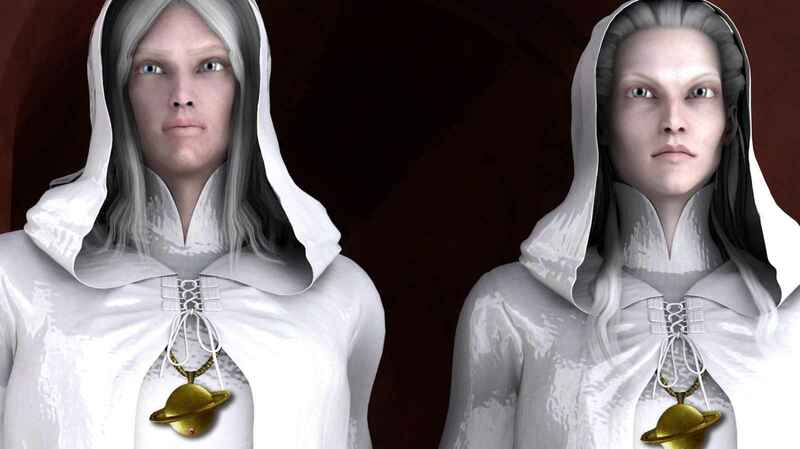 This conflict is said to have been felt by many light-workers at this time and has been a popular subject of online commentary for a number of years. This multifaceted war is also believed to be connected with all of the profound changes that are occurring within the solar system. It may be that as the energies build within our solar system, so too will positive and negatively oriented polarization. As these energies increase, those who gravitate toward one polarity or the other may become polarized and this polarization may cause conflicts to become overblown. It may also be that various ET groups know that their own survival in this system is crucial to their ability to maintain control. Naturally, each group would be doing everything they could to hold their ground in the solar system. This may explain the war to a significant extent. It would also make sense that a blockade of ships would make every effort to prevent negative groups from leaving the system prior to the anticipated solar flash. According to testimony, this solar flash will destroy the remainder of the negativity in this system. David: These 52 beings that you saw there, what is their role in this meeting as you're having this communication take place? Corey: Well, we were told that we were witnesses, that we were the conduits for each of our collective consciousnesses, that each of our groups was a collective consciousness on our planetary systems that we were on, like here on Earth. The information I was receiving, what I was witnessing, was on behalf of the collective consciousness here in this Solar System. 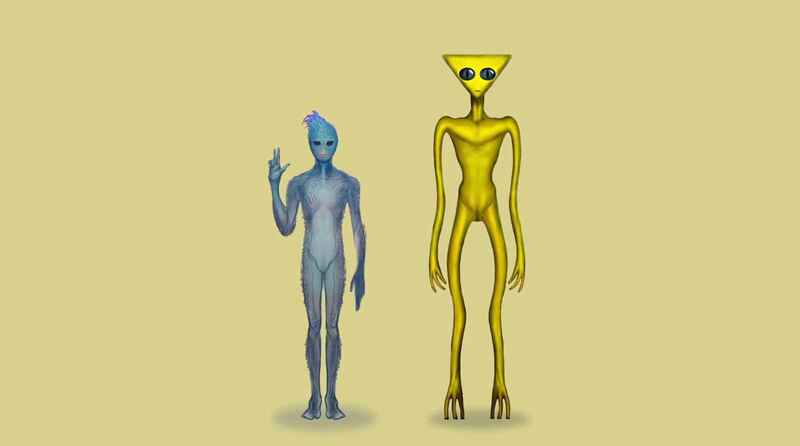 They stated that all of the 52, 53 including me, were incarnates from this Galactic Federation. Corey: This Galactic Federation pretty much had several waves that came to each of these star systems to begin to assist. We were also each told that on the planets that we're serving, there were hundreds of thousands of Wanderers, basically, that were incarnated there from our soul group. Whichever Galactic Federation group that I'm incarnated from, that I'm here to do work for, I'm not the only one. There's hundreds of thousands from my group that are here, so there's nothing special about me. I'm one amongst hundreds of thousands. David: How does it relate back to life on Earth now? You're doing this witnessing; what does that mean for us? Corey: Nothing in a physical sense, just in an energetic and consciousness sense. Corey: That's all it really is about. Now, while we were having discussions, and the different groups were . . . after they had met, you know, the Sentinels after they had met the Guardians, I was told to tell everyone to prepare for the coming of the new Guardians. And all of a sudden, there was what I've seen before, felt before, but it was a little bit different, a major flash. But it was like a flash, but the light when it flashed, it went woo, woo, WOO, woo – kind of like that. It was a bright white blue flash. Corey: And we felt, or I felt, every molecule, everything, every little molecule in my body vibrating. It was just zhhhhh . . . I thought I was going to vibrate out of my body. And then the two new Guardians were standing almost across from Teir-Eir and the Golden Triangle being. 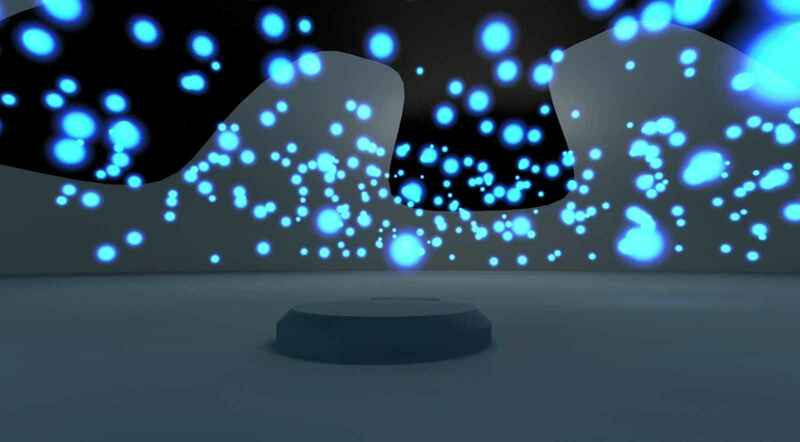 The room filled with thousands of blue orbs. I mean, the scene was AMAZING. There have been times when I have had this intense, energetic sensation of vibration—especially here in early 2018. These experiences could not be explained by any conventional means. My physical setting was not conducive to any sort of vibratory sensation and I was not influenced by any chemical or controlled substance. Most of the time, these moments of energetic vibration occurred during mediation. Yet to this day, I have not been able to find a complete explanation for moments such as these. We do know that the different phenomena which may occur during mediation are largely unpredictable. These sensations have been described by experiencers as feelings of euphoria, one of floating or weightlessness, and even a feeling of slight electrical charges moving through one's body. Perhaps there is not yet a way to accurately measure the true cause of these sensations. They may simply be results of activating of different regions of the brain which are not typically active in humans. (At least this is what modern scientists might propose.) However, they could also be actual energetic impulses created by the individual's consciousness. It may be that our surrounding environment is filled with countless possibilities of experience—whether physical or energetic—and that all it may require to experience any number of those possibilities rests within our individual choice to do so. The proposition by numerous scientific revolutionaries including Nikola Tesla, Dr. Hans Jenny, and Sr. Roger Penrose, that our universe is based upon energy and vibration seems to be of particular significance in this case. If it is true that all matter consists of energetic interactions at the quantum level, this may partially explain this sensation of vibration at certain points of relaxation. Whether or not we can measure these types of energetic sensations, we do know that there is much more to the universe than current science is able to measure—at least the public version thereof. David: And what exactly did these new Guardians look like? Corey: Sadly, at this point, I'm told that I am not supposed to describe or talk in detail about the new Guardians. David: What's the next thing that takes place? 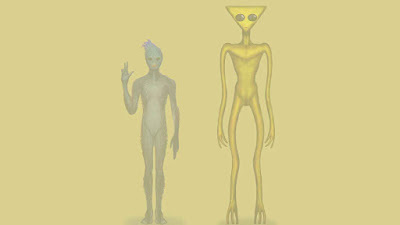 Corey: Teir-Eir had me address everyone once again and had me address the fact that the Blue Avians and the Golden Triangle beings were going to phase out of our reality, that they were no longer going to appear to us in physical form, that the Blue Avians were going to appear to us, who had been a part of their soul group that were doing certain missions, and guide us in our dream state, and that they were going to teach us to become even more involved in dreamwork ourselves. Apparently, all of the witnesses, the 53 of us, have been involved in heavy dreamwork, helping people in classroom settings on our planet, and that this was going to increase, and that we were going to start having more memory of it, that our Higher Selves were wiping our memory of these encounters and classrooms . . . environments. This notion of dream work as a means of passing on knowledge seems to make perfect sense. When we add in the concept of a fractal, geometric universe—both within the tangible and intangible realms—we can begin to see how an intangible concept such as knowledge may prove to be fractal as well. As one individual gains knowledge, and handles it responsibly, the knowledge may become internalized, processed and utilized in various productive ways. Later on, an individual can expound upon this knowledge and expand it beyond its original consistency. As new questions are asked by the individual, they lead to new interests and from these interests, further knowledge is gained. So just as a seed grows, so too does knowledge, and granted that knowledge is handled responsibly, it can be pruned, grown, and go on to birth new insights and continue the process in others. 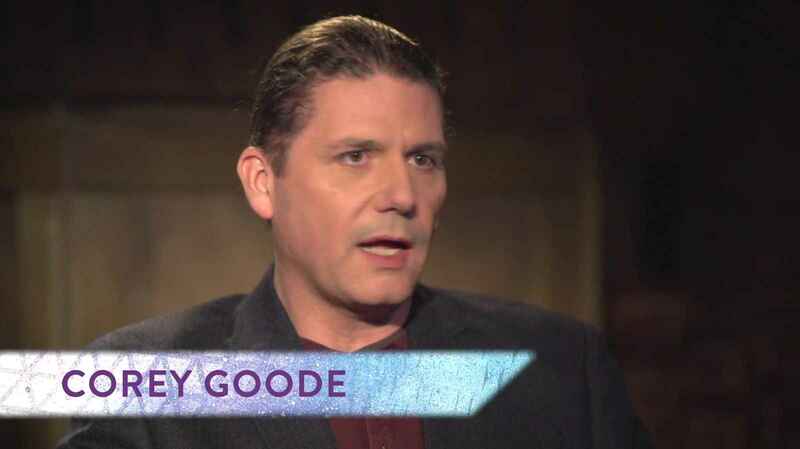 It would makes sense that if Corey Goode has received teachings from his encounters with ETs and inner earthers, he would be passing this knowledge onto others in a similar way via any means which free will allows. According to the Law of One text, these lessons are initially given via dreams. If those who are receiving these messages are willing, the lessons may progress toward more tangible contact experiences. These may include ET contact or some level of telepathic communication. As the lessons progress, the recipient of these contacts can grow in their telepathic ability, knowledge, and overall conscious awareness. 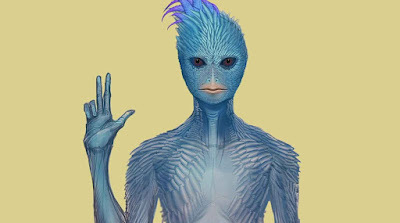 It seems that if there were individuals who were given knowledge by a benevolent ET group such as the Blue Avians, this would mean that each of these individuals would then be prepared to pass on the knowledge to anyone who was willing to learn these same lessons, to expand upon these lessons, and to accelerate their awakening experience. David: So the Blue Avians appear to be the source of The Law of One. And in The Law of One, they say that they had to descend from 6th density to 5th density in order to help us because we were in so much trouble. So do you think this means that they are now able to go back to 6th density? Corey: Yes. Yeah, they said that they were going back to their realm. David: Wow! So that's a big deal. Corey: It is. Teir-Eir said humanity is going through their Great Awakening, and that we are at the precipice of our very own consciousness renaissance. And that's what we are about to go through right now. 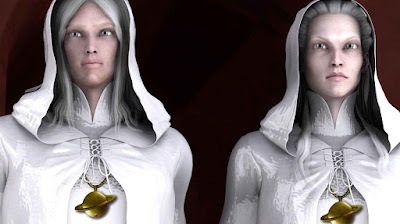 And it was stated that the new Guardians were here to assist us in acclimating to being managers of our own destiny and to assist us in working together with not only the local 52 star representatives, but the members of the Super Federation that were allowed to stay and to help manage everything. David: Was there a sense of sadness about them leaving? Corey: No. There was excitement that the new ones were here. How it ended is: Teir-Eir had me communicate to everyone the same thing that he had me communicate at the Super Federation. He ended with, “In service to All; in service to the One”. And then they just slowly faded and were gone. All we really got from the new Guardians, after Teir-Eir disappeared, was they communicated, . . . and I can't tell you how they communicated this, but the only thing they communicated were the cosmic ground rules about how these groups could work together. David: The 52, 53 witnesses? Corey: And the Super Federation that they were joining – the ground rules for forming, basically, the new Super Federation. And after they communicated those ground rules, they didn't say goodbye. They just disappeared. One of the reasons I have enjoyed listening to these testimonies by Goode is that they always have a way of surprising the audience. Generally speaking, if a person were fabricating a false story from their own imagination, the story would have a tendency to follow familiar pattern of story progression. When we watch movies, we generally know what is going to happen from the beginning to the build-up, the climax, and the resolution. However, the way in which Goode's accounts progress has been nearly impossible for me to personally predict. Every time there is a development, it tends to catch me by surprise. It is as though I am watching a scene from a really good movie, only I know nothing about the actual format of the film I am watching. Even still, in retrospect, the format makes perfect sense. We have seen in many cases, the strong likelihood that the universe is governed by fractal geometric patterns—both on a physical level, a level of consciousness, and of personal experience. This is one of the reasons why real-life events tend to progress in ways similar to those of cinematic films. Overall, we have this general progression to observe and experience throughout our lives. However, the way in which Corey's testimonies progress seems to fit, but at a level which most of us—including himself—do not seem to fully be aware of. As we view a film for entertainment, the typical vantage point of the audience is the general birds-eye view of the story. Most of the time, this is because we have seen other movies and have a general idea of what to expect. However, when we have no previous experience with any similar situation, we can can feel lost, understandably. Also, when we are emotionally involved with a situation, we tend to take every progressive change and occurrence personally—causing us to miss key details of possibilities therein. If what Corey is describing is true to reality, it seems that we as a planet may have much to look forward to. If we can responsibly experience and play our intended roles within our collective story, we may realize the true significance of our participation within it. Moreover, we will gain the answers to all of the mysteries and questions we have left open-ended. David: Do you have any information you can share with us about what those rules are? Corey: I cannot share that information yet either. All of the information from the new Guardians has to be kept quiet for now. David: So how did you end up leaving this room? Corey: After the Guardians, the new Guardians, disappeared, all of the representatives from the local 52 stars, the witnesses, started getting picked up in Blue Spheres. Corey: At that point, I looked over and saw Aree sort of rushing towards me. And so I started to head towards her. She was very excited. She gave me a big hug and opened up where my clothes were inside the brown satchel. I reached in, I pulled my clothes out, and she pointed over to an area for me to go and change. David: You didn't fight to keep the JC Penney clothes? Corey: Ha, ha. So I changed, and as soon as I changed, a Blue Sphere appeared and took me home. And when I got home it was still the same day. I had only been gone for like 10 minutes or so. Corey: And I had had days of encounters packed into 10 minutes. David: Well, that's very fascinating. So Corey, I, again, want to thank you for being here. And I want to thank you for watching. This is “Cosmic Disclosure”. I'm your host, David Wilcock here with Corey Goode. As stated, much of this intel was disclosed at the Conscious Life Expo Los Angeles in February of this year. However, some of the information may have escaped me simply because so much was taking place at the time. 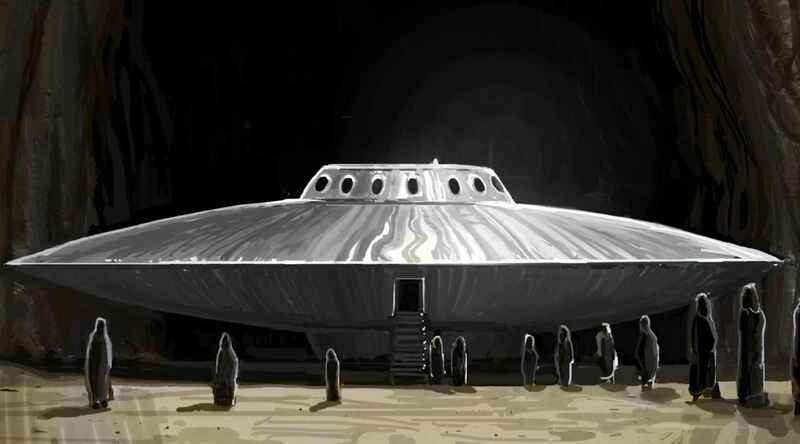 Overall, the intel seemed consistent with past testimonies and gave the audience much to consider regarding our near future. It seems as though now, more than ever, it is vital for each of us to come into our own power, to release any and all inclinations to depend upon someone else to give us what we desire to have, and to learn how to be our own masters. To be honest, if the notion of a multi-racial Council is true to reality, this is a profound thing. 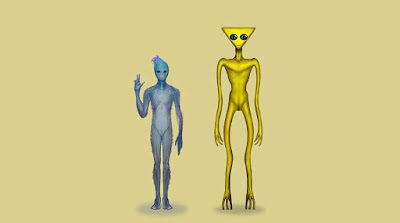 Ever since these possibilities were presented to us in the earlier seasons of the Cosmic Disclosure series, I thought it very unfortunate that humanity was not in charge of our own destiny. 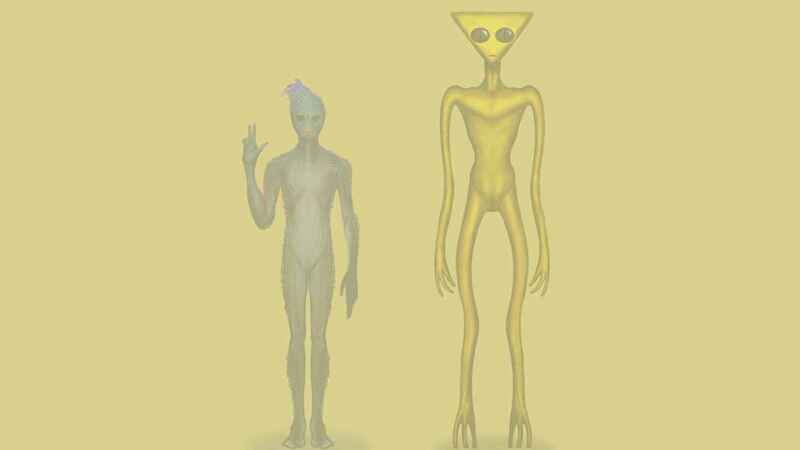 According to the testimonies within those episodes, other ET and military groups were making our choices for us on this galactic council. This idea did not sit well with me, and I am sure that I am not the only person who had that sentiment. If it is true that we as a species are now in charge of our own planet, our own genetics, and our own destiny, this is profound. This would mean that we no longer have anyone to answer to besides our own conscience. On the other hand, we have no longer have a babysitter to look after us if we slip up. At this point, we might consider ourselves new homeowners, new car owners, or new college graduates (without the gobs of debt). We have everything at our fingertips, but we also must handle these responsibilities well. Whatever our present and near future brings, we can know that it is we ourselves who determines our course, and we who must ensure that it is steady, progressive, and true. Go to Gaia.com, and you will be able to sign up for one month of access for $0.99. I already read this in the Mega Update but it was cool to read again.